A grove of Washingtonia palm trees in Homestead damaged by Irma. 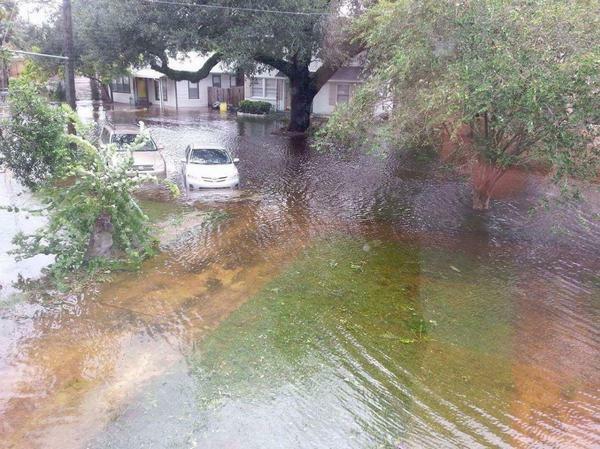 The storm did millions of dollars of damage to agriculture in South Florida. The total loss to agriculture across Florida totals $2.6 billion, according to the state Department of Agriculture. 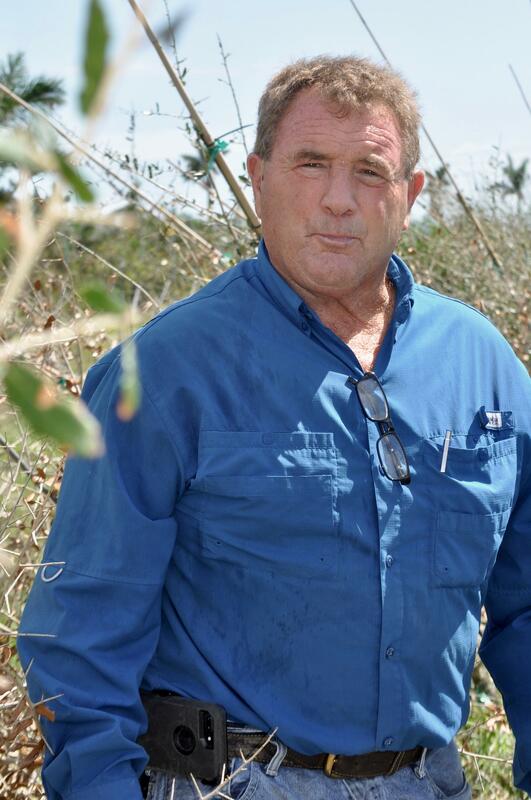 Thirty percent of the loss is among the orange groves in Southwest and Central Florida. But the second largest hit from Irma is among nurseries. And then sugar. Those two are concentrated in South Florida with the cane fields in Palm Beach County and hundreds of acres of shade houses and greenhouses in South Miami-Dade County. The storm interrupted the business of farming, but not the inherent optimism making a living from Mother Nature in South Florida requires. 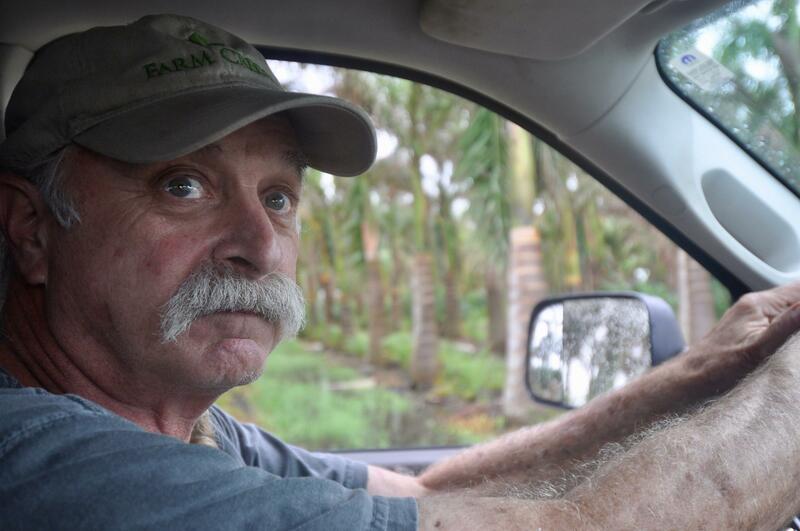 We spoke with five farmers with decades of experience about what Irma did to their businesses and the agriculture industry here. 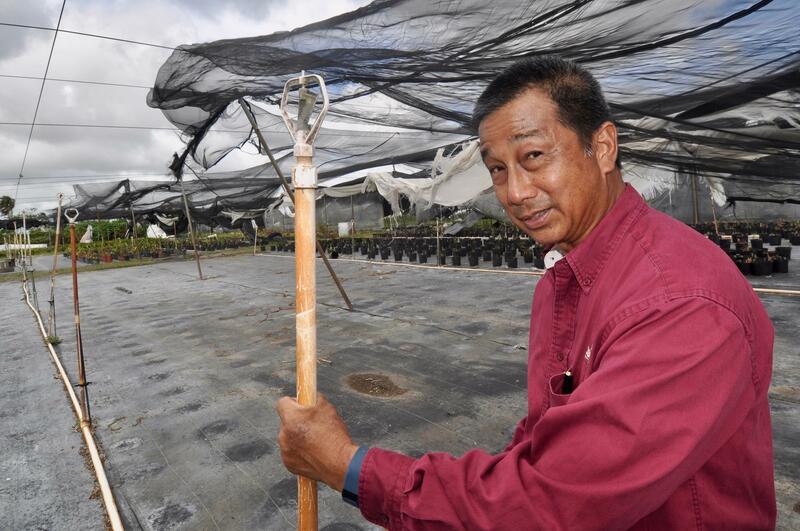 Mark Wilson’s shade houses at Greendale Nursery in Homestead were destroyed or heavily damaged by Hurricane Irma. • Estimates 80 percent of shade house plants were damaged or destroyed. • About four acres of shade houses were destroyed and will have to be rebuilt. 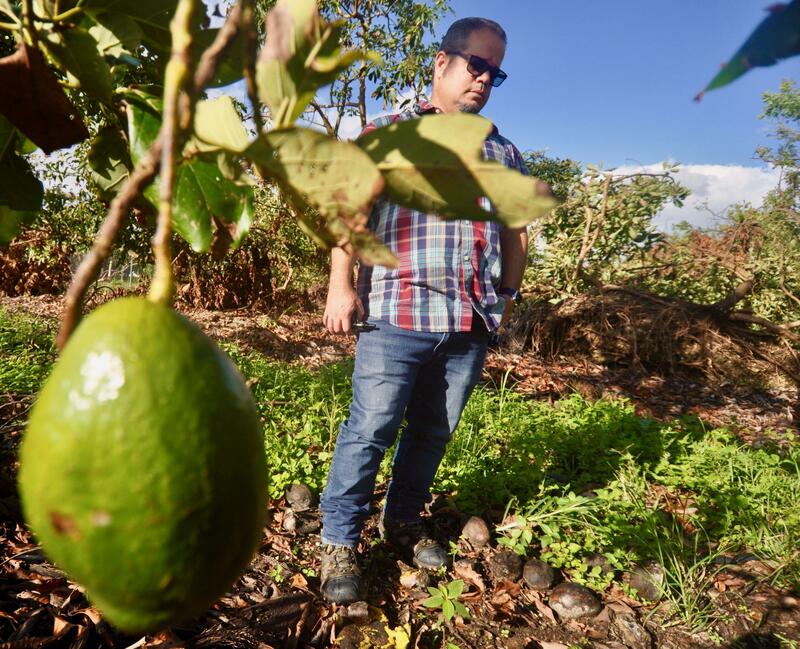 Salvador Fernandez with J&C Tropicals stands among the fallen and dead avocados in a grove of trees damaged by Hurricane Irma. One avocado still hangs. Most of his crop was ruined. • Estimates he lost at least 80 percent of his late-season avocado crop. • Cut packing house workforce from more than a dozen workers to six. • Doesn't know how many avocado trees were damaged or destroyed. 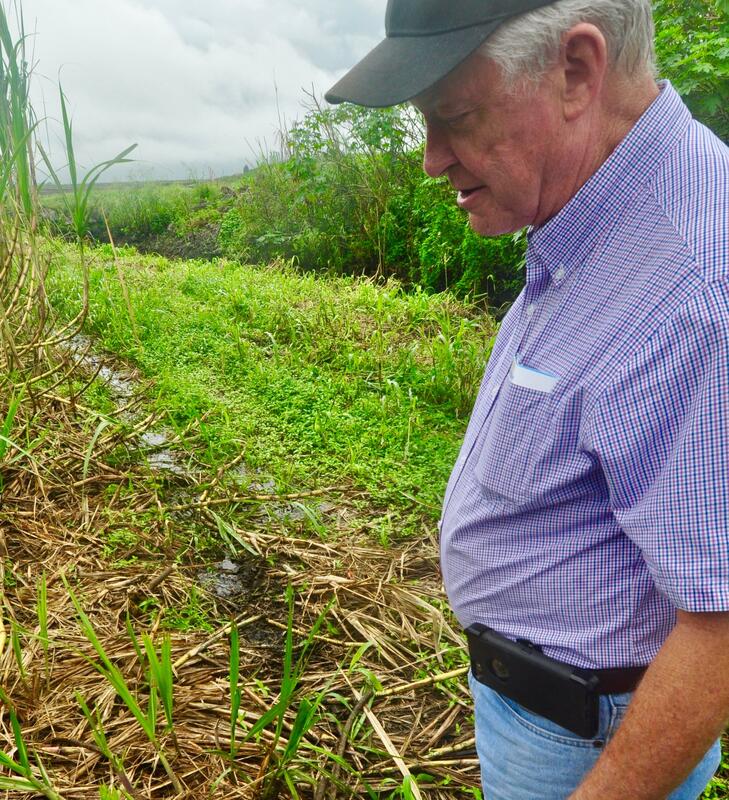 Rick Roth inspects a portion of his sugarcane fields in Palm Beach County. 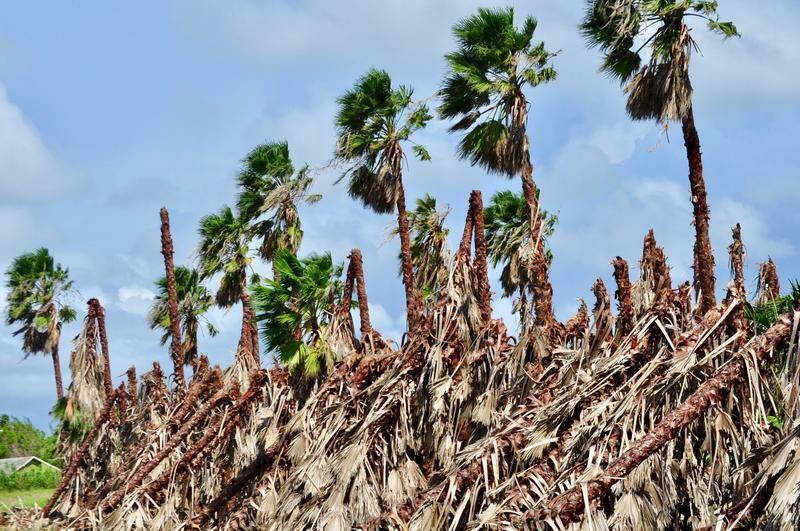 Hurricane Irma's winds laid down portions of the crop. Harvest will begin this month. • Grows 2,500 acres of sugarcane. • Estimates a 20 percent reduction this year because of Irma. • Will reduce his sugarcane planting next season and increase it in future years. Many of John Alger's oak trees suffered severe damage from Hurricane Irma. He has been staking the trees in hopes of saving and straightening them. • Grows 250 acres of palm and oak trees. • Estimates 85 percent of tree acres suffered some type of damage. • Figures staking up oak trees adds at least $15 per tree in additional material and labor costs. Ben Magrill inspects his groves at Pahokee Palms. Many of his small and medium-sized trees were uprooted because of Hurricane Irma. • "Large percentage" of his small and medium-sized trees were blown over. 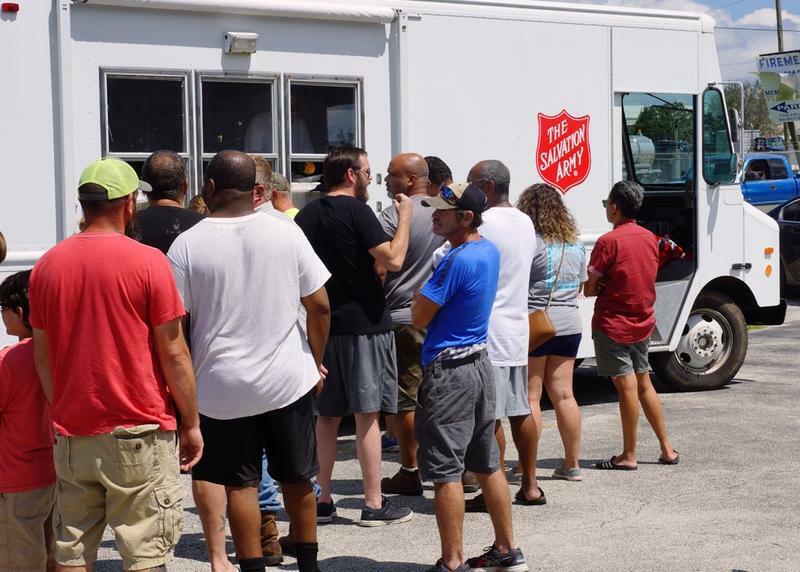 • Crew of 25 workers has been staking up trees since Irma, hoping to save them. • Short supply of palm trees because of the size of Irma in Florida. 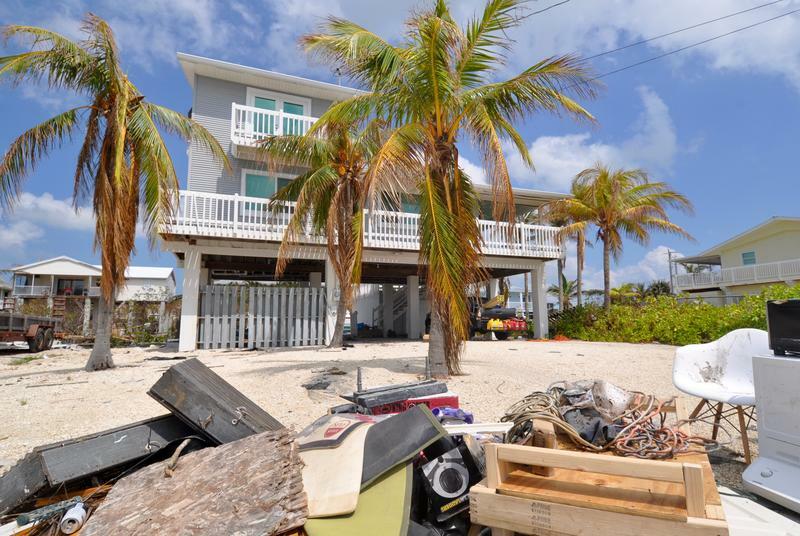 When Phil Waynick returned to his home on Little Torch Key after Hurricane Irma, he said it was "like a kid at Christmas." 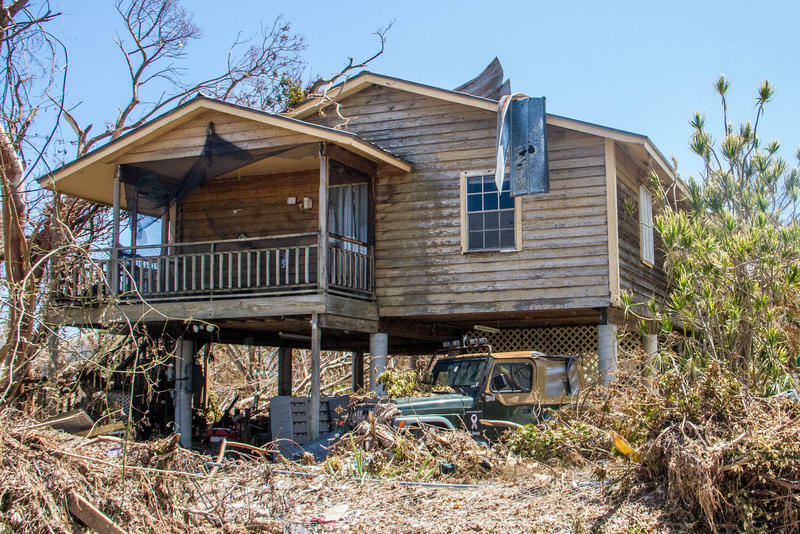 His home had survived some of the worst of Irma's wind, rain and storm surge. Many others were not as prepared or lucky. Irma was an epic storm. It was stronger and bigger than almost all hurricanes on record and lasted longer than any storm on record. 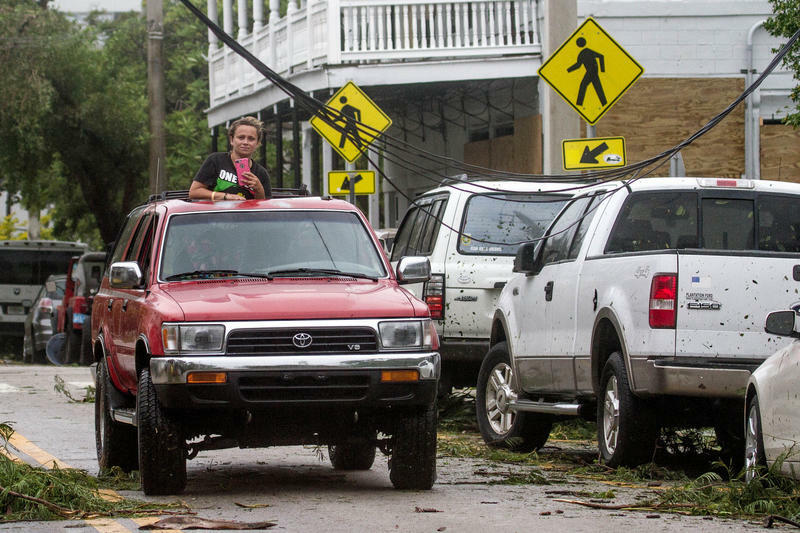 From the Lower Florida Keys to St. Augustine, the Gulf Coast across to I-95, it triggered the largest evacuation in Florida and left large swaths of the state without power for days. Hurricane Irma was the strongest storm to hit Florida in more than a decade. It set records on its way through the Atlantic and Caribbean: the longest sustained Category 5 storm of the satellite age, the fastest winds of any storm in the open Atlantic and enough energy for an entire hurricane season -- all in one storm. Florida's state-created property insurer says Hurricane Irma will cause over $1 billion in insured losses to the company.